Is there another Duggar baby on the way? Well, probably — at least, eventually. But fans of Jill Dillard want her to pop out another one ASAP, which means they’re starting the pregnancy rumor mill up again. The Duggar family posted a collection of Thanksgiving photos to its Facebook page, including a side shot of Jill and her husband, Derrick Dillard. In the photo, Jill is wearing a long-sleeved shirt over a dress, and the layers are a little wrinkled around her belly. Followers immediately took to the comments to speculate that the bunched-up fabric was caused by a bun in the oven. Other fans were more restrained, saying it could be a food baby, or even leftover baby weight from Jill’s first pregnancy. 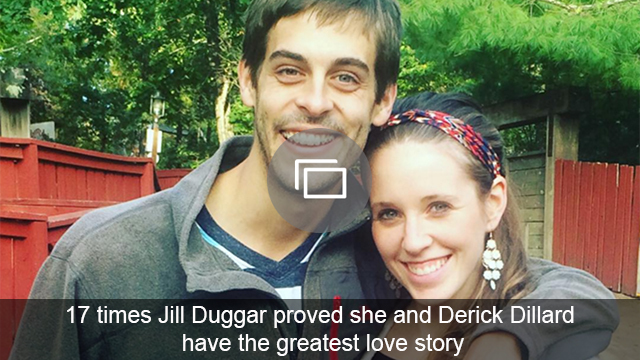 Do you think Jill and Derick Dillard have another baby on the way?